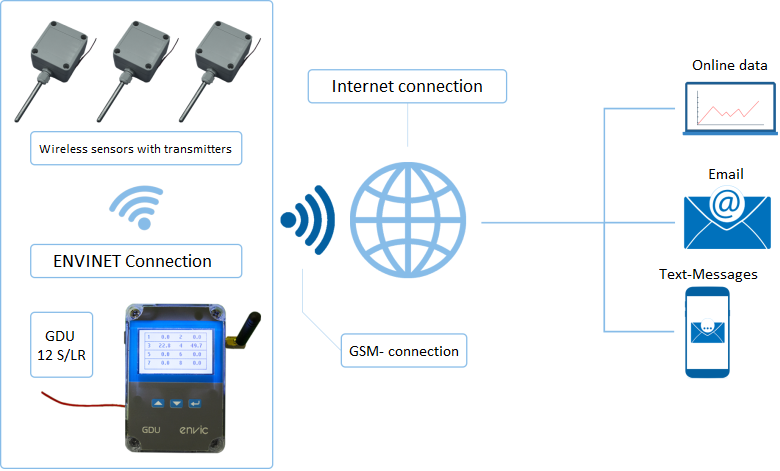 With GDU™-12 S/GSM central unit data logger and DAT-1 digital transmitters units connected to it can versatile and flexible be collected results of measuring and monitor environmental conditions. 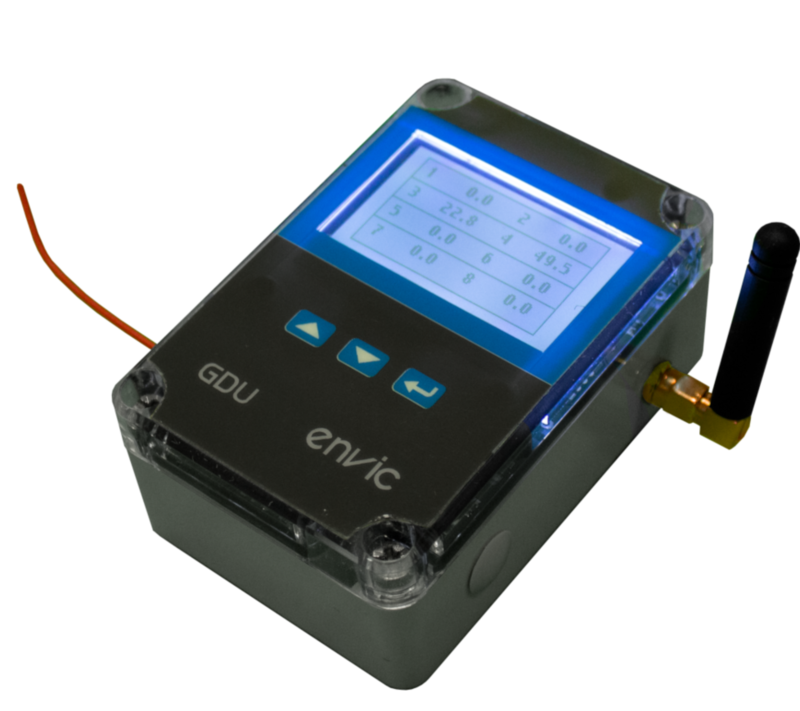 With the Envic newest transmitter Multi Log, will be measured even five different variables simultaneously at the same place. GDU™-12S/GSM data logger with Multi Log transmitter is perfect combination when it is necessary to search indoor or outdoor air quality.